Calling all Costco members! 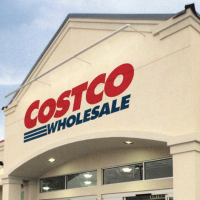 Get your list ready for Costco’s latest instant coupon savings valid starting today February 6th through March 3rd. I spotted great deals on Bounty paper towels, Clorox wipes, Glad trash bags,Gillette razors, Kleenex facial tissue, Mobile 1 motor oil, Orgain Organic protein powder, POM Wonderful pomegranate juice, Starbucks coffee, SunChips variety pack, ThermoFlask Water Bottles, and much more! Most of you will receive the coupon booklet in your mailbox very soon if you haven’t already. Stock up!